Julio Cesar Chavez Jr and Carl Frampton headline Showtime Boxing and PBC on CBS boxing cards Saturday in El Paso. This Saturday, El Paso, Texas’ Don Haskins Center will have the national boxing spotlight as not one but two boxing cards hit the Sun City. 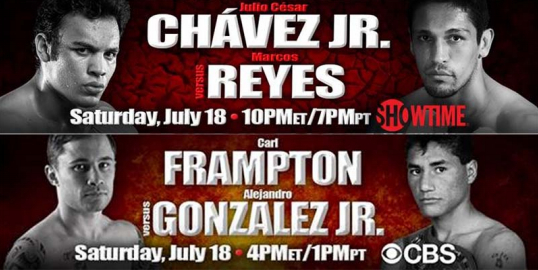 On the afternoon bill, CBS will televise a Premiere Boxing Champions, PBC on CBS card which will feature the highly anticipated United States debut of Northern Ireland’s IBF World Super Bantamweight champion, Carl Frampton (20-0, 14KOs) against the number 13th ranked IBF 122-pounder Alejandro Gonzalez Jr.
Julio Cesar Chavez Jr. headlines Showtime Championship Boxing card Saturday night at Don Haskins Center in El Paso, Texas. 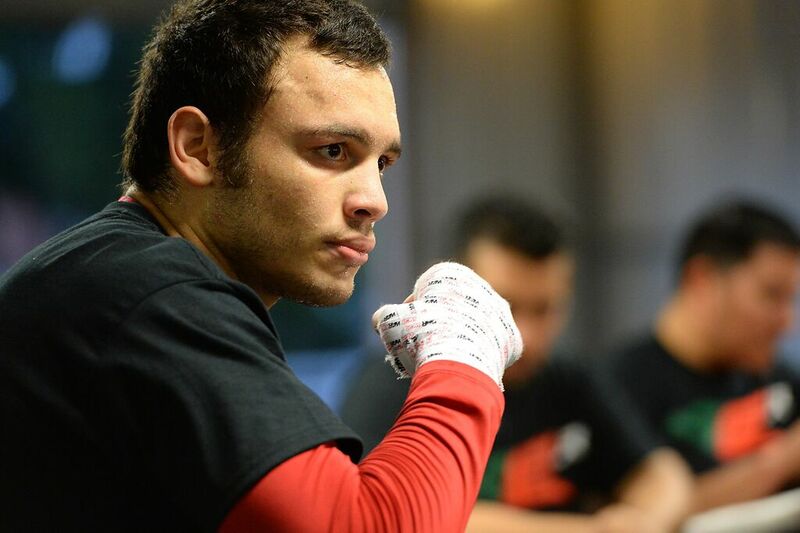 Later that evening, CBS’s sister company Showtime, will broadcast a fight between former WBC Middleweight Champion Julio Cesar Chavez Jr. (48-2,1, 32KOs) who takes on fellow Mexican, Marcos Reyes (32-2, 24KOs) in a Showtime Championship Boxing Super Middleweight main event. The bout will be proceeded by an intriguing match-up up between two unbeaten fighters who will vie for the vacant IBF junior bantamweight title when Puerto Rico’s McJoe Arroyo (16-0, 8KOs) steps into the ring against the Philippines Arthur Villanueva (27-0, 14KOs). 3:00 p.m. – Julio Cesar Chavez Jr.